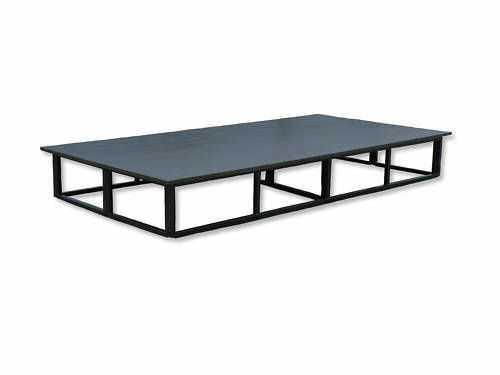 Our Stages and Podium Platforms are available to hire in different sizes by clamping more than one staging module together, at a height of 30cm (1 foot) off the ground. 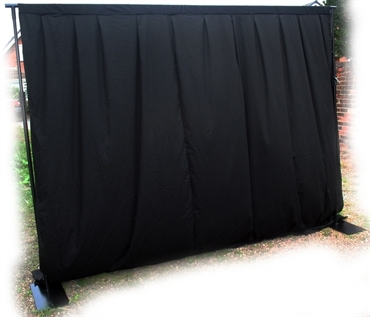 Our portable stages are of sturdy steel construction with a carpeted platform floor and are supplied with fire retardant pleated side drapes as standard to conceal the framework. We deliver, set up and collect our stage hire equipment at all venues for all types of events, large and small, 7 days a week. 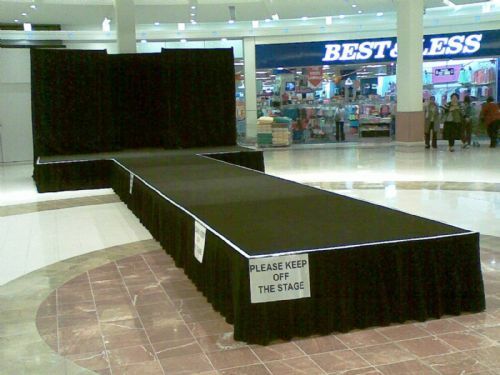 We can compliment your stage with a black back drop using our pipe and drape systems. 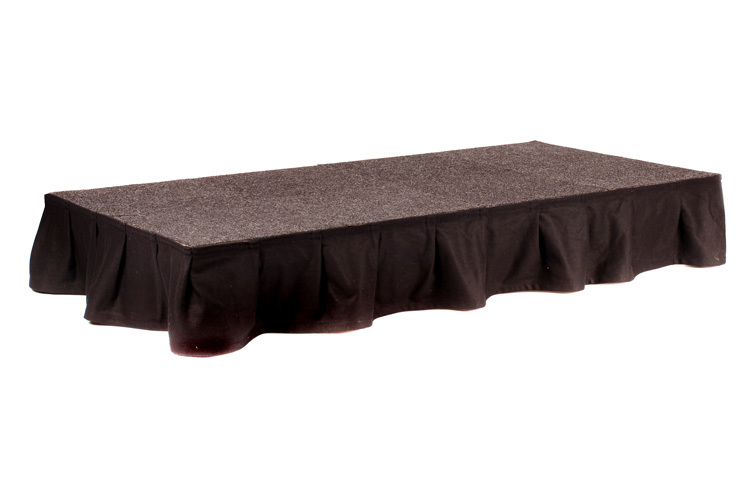 Made from quality fabric with a pleated finish and invisible velcro fasteners, this will give a professional finish to your stage. All assembled and hung by our rigging staff alongside your portable stage for the perfect finish at your event. 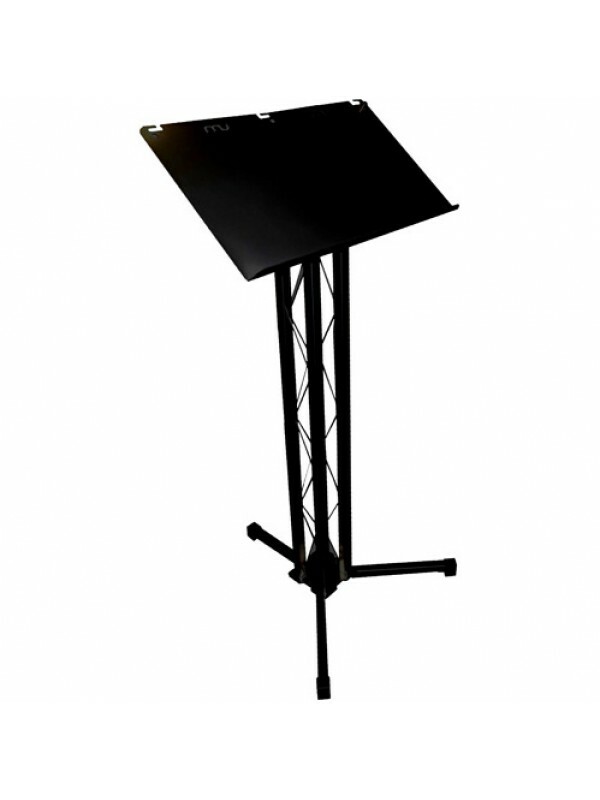 The lectern top features a large area for documents with a bottom paper stop to hold your presentation in place. Presenter microphones can be added to our lecterns along with LED reading lights if your presenters will be working in a dark or ambient environment. 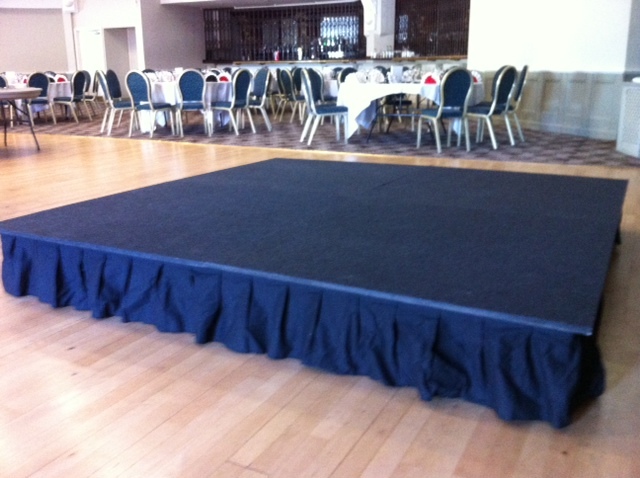 Our small podium platforms are ideal for corporate events to give a professional look to your presentation and consist of a sturdy steel frame which is concealed with a pleated black side skirt and a carpeted top deck. 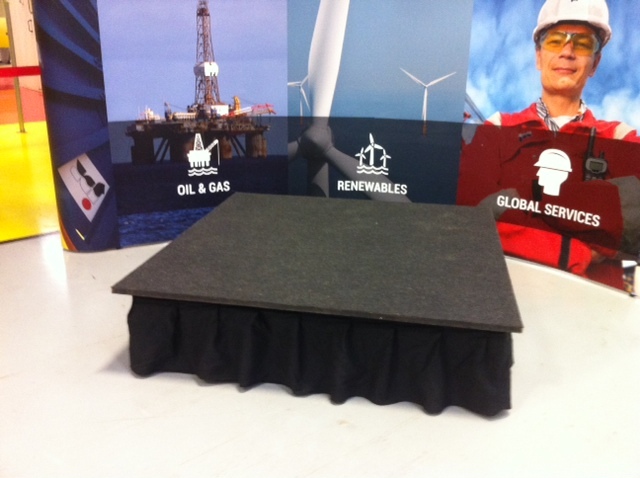 These podiums are assembled in minutes so if space is at a premium at your event, we can deliver and install just 15 minutes before your event and remove the moment your event is finished. Delivery and collection times can be booked specifically so there is no waiting around so you get a hassle free hire experience.